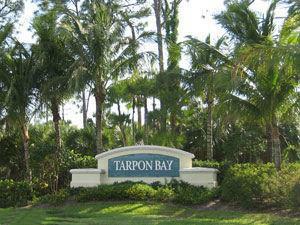 Tarpon Bay in Naples Florida is a gated community located just east of I-75, off of Immokalee Road. 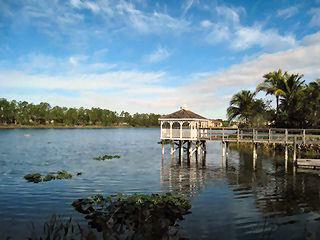 This WCI built 91 acre community consists only of 352 residences set around 15 acre lake. 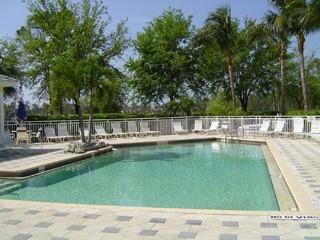 Tarpon Bay amenities include clubhouse, infinity edge pool, spa, fitness center, two lighted Har-Tru tennis courts, basketball court, sand volleyball, business center, aerobics studio, putting green, children's playground, billiard room, outdoor grill area, manmade beach and observation gazebo overlooking the lake. Buyers can choose from coach homes, carriage homes, villa homes and detached villas.